Lace, ribbed and textured tubes easily slip around any size coffee cup. 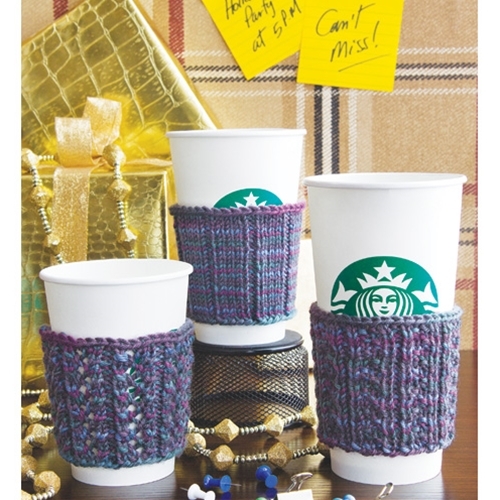 These handy coffee-cup sleeves in a trio of patterns stitch up at caffeinated speed and stash away neatly in a desk drawer. 22 sts and 32 rnds to 4"/10cm over St st using size 5 (3.75mm) needles.